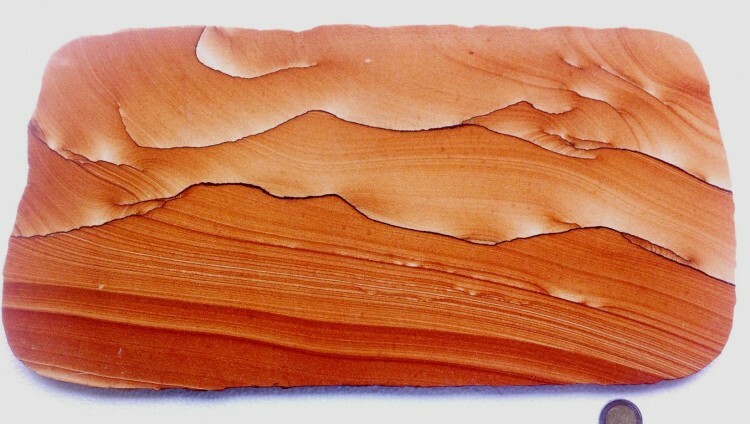 The sandstone is to be found in the mountains of Utah, and produces incredibly beautiful, natural, works of art. This is natural sandstone, formed 120 million years ago by wind and water, then coloured by iron oxides. It has not been altered in anyway except for cutting into slabs for display. Every piece is an original work of art produced by Mother Nature. A wonderful display item for the home or office.